When I was pregnant with Helen, I worked out fairly regularly. I think it helped me to get back in shape postpartum. This time around, I really wanted to work out harder. Last time I was a definitely a major fitness noob. I hated working out. It felt awkward. But I knew it was good for my baby and me, so I pushed through (no pun intended). In the almost 2.5 years between my pregnancies, I learned to hate exercising less. 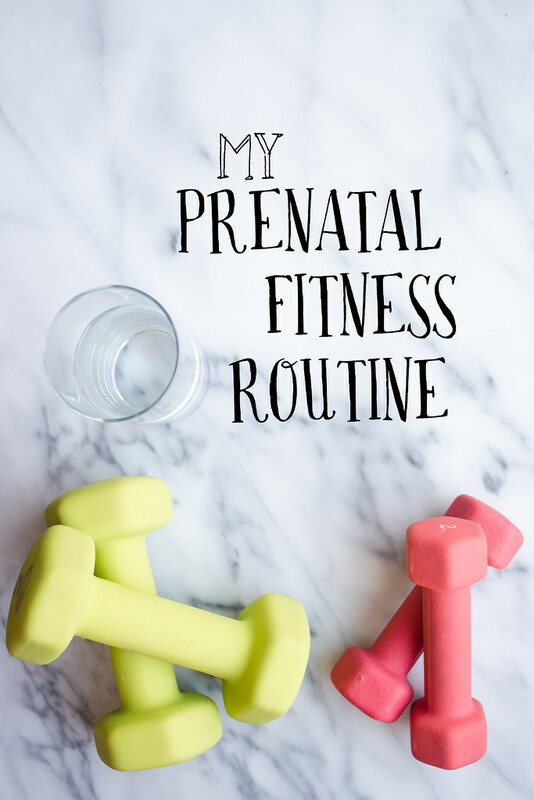 I completed Lindsay Brin's Postnatal Bootcamp, did a modified version of P90X (I couldn't quite finish it because of an injury), and I completed Jillian Michael's Ripped in 30 during the first few weeks of my pregnancy (I didn't know I was pregnant at the time). 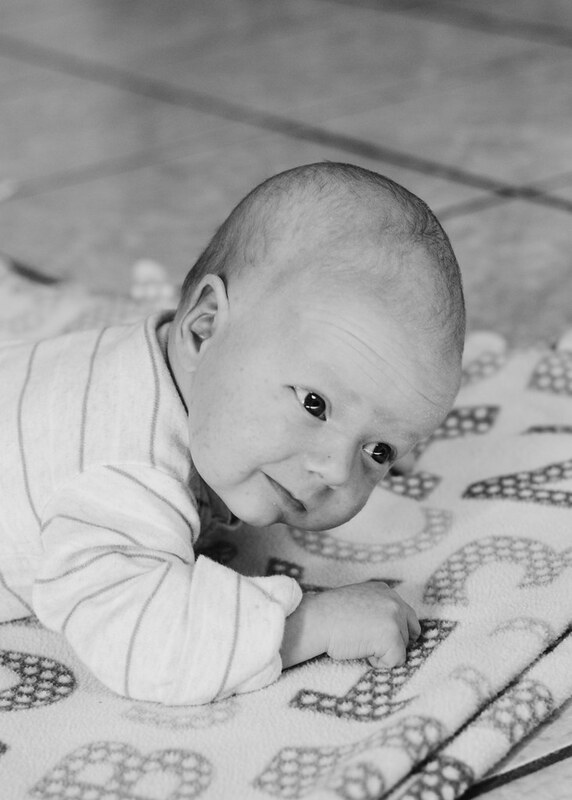 It was amazing how quickly my energy levels dropped almost as soon as I got pregnant. I soon realized, to my disappointment, that I wouldn't be able to work out as intensely as I had planned. It just didn't feel good to work super hard. I aim to do about 20 minutes of exercise 4-5 times a week. I do 2 of the 10-Minute Prenatal Pilates workouts, or 1 of the Prenatal Barre workouts (they are about 20 minutes each). Some days I have very little energy, so I just do some stretching or a light workout. Music: The music is pleasant, nothing to write home about. Some of it has an oriental vibe. Instructor: The instructor isn't annoying, though she makes a few verbal mistakes (should have been a re-take!). I appreciate how the instructor tells you when to breathe in or out. Equipment: 1-3 pound weights (I sometimes use 5s), exercise mat, and a pillow. Workouts: The workouts are pretty easy, which is great for pregnancy. If you are already advanced in fitness, these would most likely be too easy for you. You can make some of the workouts more challenging by adding heavier weights. The main thing I don't like about these workouts is that some of them aren't "Tummy Safe" - they are either unsafe for a mom with a diastasis recti, or they encourage one. The "Standing Pilates" workout is completely safe. The "Total Body" and "Buns and Thighs" workouts are safe except for a couple of short segments done on your hands and knees (this can be done standing instead). The "Pilates for Flexibility" is also safe - just make sure you're performing the "Calf/Cow" exercise properly. I wouldn't recommend the "Core" workout - some of the moves are safe, but most of them aren't recommended for pregnancy. You can read more about how to avoid a diastasis recti during pregnancy HERE, HERE, and HERE. Music: The music has a fun beat, but it's nothing special. Instructor: Suzanne herself isn't pregnant in this DVD, but there is a lady that is. Suzanne also isn't annoying. It's really nice how she is insistent about working your pelvic floor. I've learned a lot doing the workouts. Equipment: 1-3 pound weights, exercise mat, chair. Workouts: This DVD includes 3 workouts and a stretching segment. The 2 cardio/lower body workouts are completely safe. The core workout is mostly safe, except for the segment that has you doing pushups and frontal planks. This is only about 4 minutes of the workout. The workouts are challenging, but they still feel good. One thing to keep in mind about these DVDs is that the instructors aren't dressed the most modestly. This probably wouldn't be a huge issue for most people, but it's something to keep in mind if you are sensitive to that. So that's what I've been doing to keep fit this pregnancy! Do you have any favorite workouts/DVDs to recommend? Let me know in the comments!